Visitors to the TT this year will be warned against the use of unmanned aircraft, or so-called drones, over the TT course. 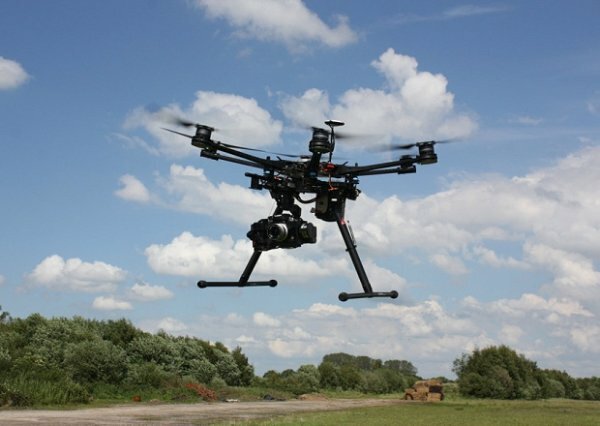 With the increasing popularity of drones – used in recent years for matters as diverse as aerial photography and surveying of buildings – organisers of the annual event in June are concerned about the possible hazards of spectators using drones for aerial photography. Ramsey MHK Leonard Singer said he had raised the matter with organisers. ‘I was concerned about people flying them over the TT course perhaps following riders and I had a letter back from the organisers saying they were aware of the potential problem but it was actually illegal to do so,’ he said. ‘They said they wanted to address the issue before they were forced to do so by some sort of incident. In fact, he said latest legislation now in place would prohibit the use of unmanned aircraft within 50 metres of the TT course and also impose a fine of up to £2,500 for any contravention. In support of the move a poster is to be used to drive the message home, depicting an unmanned craft with a cross through it and a reminder of the maximum fine. Southern 100 organisers have this year also reminded all accredited photographers that drones are not permitted near the Billown course citing its proximity to Ronaldsway airport as the reason.